The British Open is must-see TV. For a several reasons — bad reasons — this is one of the best weeks of the year. Bad sleeping habits, a bad golf game and the sadistic pleasure I get watching the greatest golfers in the world struggle make this a fun week for yours truly, or any insomniac. I always have, and likely always will. An inability to sleep and being a morning person is the reason I walk around like a zombie at times. I rarely sleep past 6 a.m. And although I usually don’t have a difficult time falling aslee, if I’m awakened for any reason before 6 a.m., I have a terrible time going back to sleep. As I get older, I wake up more often in the middle of the night. That, along with a cat who is very adamant about his 2 a.m. snack and a dog who must investigate and bark at every possum, raccoon or skunk she hears outside my bedroom window in the middle of the night, mean a lot of early-morning TV. And even if I lay awake until 5 a.m., I usually wake up before 6 a.m. If it’s a weekend, and I’m not golfing, I’ll get the leash on Beatrix and let her water the back yard. But then I’ll try to sleep for a couple hours. If it’s a typical American work week, I’ll stay up and be at the office no later than 7 a.m. But being awake at night isn’t all bad. I’ve been know to prep food and cook in the middle of the night. And in the summer, early morning is the coolist time to do dishes. Plus, late at night is when Law and Order Criminal Intent is on. And everyone knows that’s the best of the franchise. In fact, every Law and Order episode is on in the middle of the network on ION, WE, USA or some other channel. And I’ve seen them all … over and over and over again. Also, since my washer broke down, I’ve been doing laundry at 4 or 5 a.m. Saturday or Sunday. The laundromat is quiet — usually empty — and I can usually get some reading or work done on my laptop. Add in the fact I can do 2 to 6 loads in just over two hours, and it’s worth the lack of sleep, that I wouldn’t be getting anyway. And, with all my chores done, there will be time for a little afternoon nap. Anyway, this week my sleep patterns will be even more erratic thanks to The Open, or The British Open as we Americans call it. 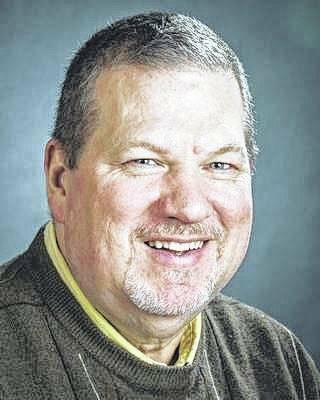 Starting Thursday, it will be live on one channel or other from 1:30 a.m. to 4 p.m. The British Open and U.S. Open — under the best (or worst) circumstances — are a delight for duffers. They offer the best chance to see the top golfers in the world struggle. The U.S. Open courses are traditionally set up to be so difficult — pin placements; high, luscious rough; narrow fairways; and lightning-fast greens — that par is an acceptable score. 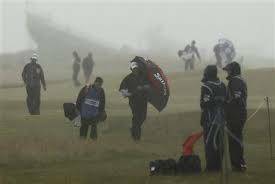 The British Open — often played on links-style courses more than a century old — is often accompanied by lots of wind, and sometimes rain that comes in sideways off the North Sea. I’ve seen golfers bundled up in stocking caps with gloves on their hands between shots. This year’s Open is at Carnoustie Golf Links, in Angus, Scotland. There are holes running from north to south, south to north, east to west, west to east and every other direction throughout it’s 18 holes. If the wind is blowing, this is not an easy place to play. This year, Carnoustie has seen lots of dry weather and higher-than-usual temperatures. And that means, hitting a ball too far could be a real problem, a problem I am not familiar with. The PGA Tour average when it comes to driving distance is 295 yards. Brandt Snedeker is a little below average in driving distance. This week he ranks 137th on the tour, at just over 291 yards. He tweeted Wednesday that he hit a drive at Carnoustie that went 470 yards. The combination of little water and scorching temps and wind have turned fairways into parking lots. There was sports radio chatter Monday morning about the last time The Open was at Carnoustie. Tiger Woods was 370 yards from the green. It was dry and windy. He pulled a 5-iron (which I would use for my second shot from 370 yards). He hit that ball more than 300 yards, some 40 yards short of the green. But on the hard tundra, it bounced and rolled up to, over and 40 yards over the hold. I love that kind of golf, and those kinds of conditions. Finally, a legitimate reason to enable my insomnia.